v. Texas, that barred the state's public colleges from using race-conscious admissions. The second was state lawmakers' subsequent move to guarantee Texans who graduate in the top 10 percent of their high-school classes admission to a public college of their choice. just the most selective ones. Many of the effects were unpredicted or belie popular perceptions. Parsing the results of the court ruling and 10-percent law is difficult for several reasons. Texas has undergone major demographic changes over the past decade, with the number of high-school graduates increasing by 50 percent and the number of Hispanic high-school graduates rising by 78 percent from 1994 to 2004. Besides coming under the sway of the 10-percent law, top universities responded to the Hopwood decision by adopting a host of other policies that may have affected their minority enrollments, including aggressive recruitment and outreach efforts and broad expansion of financial-aid offerings. But in crunching enrollment numbers from the state's two flagship higher-education institutionsâ. "the University of Texas at Austin and Texas A&M Universityâ. "the researchers felt they were able to draw several major conclusions. Guaranteeing students admission to a flagship university did not necessarily guarantee that they would enroll. Ms. Tienda; Sunny X. Niu, an associate research scholar at Princeton University's Office of Population Research; and Sigal Alon, an assistant professor of sociology ant Tel Aviv University, report in one paper that neither flagship experienced big increases in black and Hispanic enrollments as a result of the 10-percent law, despite increases in the numbers of black and Hispanic students eligible for admission. Drawing upon past research, the authors suggest that financial concerns and attending high schools without strong college-going traditions kept many such students from applying or matriculating. Koffman, a statistical programmer in Princeton's population- research office, found that the lion's share of the rise in applications to the two flagships came from affluent high schools. As of 2003, four years after the law went into effect, class-rank-eligible students from poor high schools were only half as likely as their affluent counterparts to apply to the University of Texas at Austin, and both flagship campuses remained dominated by wealthy students. The average SAT and ACT scores of students enrolled at less-selective public institutions rose as high-scoring students who were not in the top tenth of their class were crowded out of the University of Texas at Austin by top-10-percenters, according to a paper written by Ms. Tienda and Mark C. Long, an assistant professor of public affairs at the University of Washington at Seattle. Similar findings are contained in a paper written by Mariana Alfonso, a research economist at the Inter-American Development Bank in Washington, and Juan Carlos Calcagno, a researcher at Mathematica Policy Research, based in Princeton, N.J. In addition to looking at enrollment trends at Texas A&M at College Station, they studied trends at Texas Tech University, which is in the middle of the state's public colleges in terms of selectivity, and Texas A&M University at Kingsville, a nonselective institution that admits all applicants. Their paper concludes that the Hopwood decision led to a shift in black and Hispanic students from highly selective institutions such as Texas A&M at College Station to less- selective institutions, largely because "the elimination of affirmative action has discouraged minority students from applying to the selective universities." The Texas 10-percent plan appeared to increase the likelihood that black and Hispanic students would be admitted to moderately selective Texas Tech and to bolster their enrollments at Texas Tech and the Kingsville campus of Texas A&M. But it did not increase the likelihood of their being admitted to the College Station campus or bring about increases in minority enrollments beyond what could be expected given demographic changes in the state. The paper by Ms. Alfonso and Mr. Calcagno suggests that if state policy makers and college administrators want to increase minority enrollments at selective colleges, they should focus on trying to expand the black and Hispanic applicant pools by taking steps such as working to improve high-school quality, setting up more dual-enrollment programs allowing high school students to earn college credit, and waiving college application fees. The papers written by Ms. Tienda and her colleagues contain similar recommendations for increasing the size of the minority and low-income applicant pool. Copyright © 2008 by The Chronicle of Higher Education. Teachers testifying before the Joint Select Committee on Public School Accountability in Austin today strongly criticized aspects of the current test-driven accountability system. 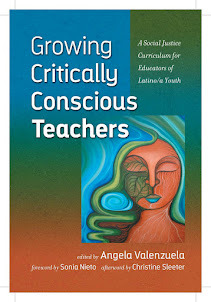 They were joined in that critique by other educators and, we are happy to report, by some committee members themselves. While crediting the accountability system with steering more instructional resources toward students who need help to pass the state exams, the teacher witnesses urged the committee to help put the state's standardized test back in its proper place. With administrators and schools being judged primarily on the basis of standardized-test results, the consequence is that students and their teachers are forced to spend too much precious time on test-taking skills, squelching opportunities for students to explore their subjects more deeply, the teachers said. Among the teachers invited to testify was master teacher Robin Turner, a Texas AFT member whose third-grade class of struggling students in Austin ISD benefits from her expertise as a Milken Foundation prizewinner and a National Board certified reading teacher. Turner, a member of our Education Austin affiliate, vividly described the letdown her students felt recently when they were forced to turn from a science lesson that had them deeply engaged to yet another tedious drill in TAKS skills. Turner also spoke out on behalf of colleagues who asked her to describe their testing calendars, showing inordinate amounts of time spent on test prep and on a multitude of standardized tests in addition to the TAKS. Turner welcomed the committee's talk of moving toward a "growth model" that would reward students and their schools for achieving substantial gains. Right now the accountability system revolves almost entirely around getting a certain percentage of students to achieve a level of minimum proficiency, instead of rewarding and recognizing significant student gains, whether above or below that level. The status quo thus creates a strong incentive to neglect students other than those who are "on the bubble," just shy of meeting the minimum proficiency standard. Other teachers echoed some of Turner's key points. Susan Creighton, a Texas AFT member who teaches gifted high-school students in English language arts in Flower Mound ISD, decried "the complete waste of my time" and students' time on TAKS essay-writing drills, mandated by her district despite the advanced level of her students. The narrow test-taking skills on which she and her students are required to spend days of preparation are just not relevant to the college-level writing and reasoning that it is her job to help them develop, Creighton said. The teacher witnesses also repeatedly distinguished the beneficial use of standardized tests to identify deficiencies from the destructive use of tests to label students and punish schools as failures based on a narrow, one-day snapshot of their performance. On this point they were on common ground with panels of superintendents, principals, and educational experts who testified earlier in the day. The emphasis ought to be on supports, not sanctions, said Michael Cohen, president of Achieve, Inc., a national education-reform group that pushes for higher academic standards. This position was powerfully reinforced by testimony from Texas school administrators, who talked about the harm done by slapping an "academically unacceptable" label on a school because of a shortfall on one out of 36 performance indicators. Instead of this "gotcha" system, one principal suggested, why not give parents and taxpayers a truer picture of the school's overall performance with a rating that looks more like a grade-point average, reflecting performance across the full range of subjects and subgroups? Superintendents and principals also noted that the punitive approach inevitably tends to deter good educators from going to work on struggling campuses, because their professional reputation can be damaged even if they work wonders but their students still after a year or two fall short of the required passing rates on standardized tests. One member of the select committee, herself a principal, bore personal witness to this problem. She said she had been assigned to a struggling campus because of her successful track record with disadvantaged students, then found herself yanked away to another campus after two years, under the state law passed in 2006 that mandates a principal's removal if her campus is rated low-performing for two years in a row. Even the select committee's most dogged defender of the current system, lawyer-lobbyist Sandy Kress, felt compelled by the end of today's hearing to speak in support of corrective action to curb the excesses of testing drill and practice, which he termed a "problem with school or district implementation." Other committee members of the select committee signaled their interest in going much further to reform the system. Rep. Diane Patrick, Republican of Arlington, for example, said the legislature has made some progress by moving toward end-of-course tests in high school but has more work to do in order to reduce the harmful effects of the TAKS testing regime at the elementary level. Committee co-chairs Florence Shapiro, a Republican senator from Plano, and Rob Eissler, a Republican representative from The Woodlands, also acknowledged the need to clear up confusion created by sometimes conflicting federal and state accountability ratings. We'll have more gleanings from today's hearing to share with you in the future. It is still too early to tell if the select committee's eventual recommendations will reflect fully the powerful testimony heard today. But we continue to be encouraged by the tone of this discussion, in which most members of the committee seem to agree that there is something seriously awry with the current system and that it is their job to help fix it. Both race and racism are profoundly historical. Thus if we discard biological and thus essentialist notions of "race" as fallacious, it would be erroneous to assume that we can also wilfully extricate ourselves from histories of race and racism. Whether we acknowledge it or not, we continue to inhabit these histories, which help to constitute our social and psychic worlds. Neoliberalism sees the market as the very paradigm of freedom and democracy emerges as a synonym for capitalism, which has reemerged as the telos of history. In the official narratives of US history, the historical victories of civil rights are dealt with as the final consolidation of democracy in the US, having relegating racism to the dustbin of history. The path toward the complete elimination of racism is represented in the neoliberalist discourse of colourblindness. Equality can only be achieved when the law, as well as individual subjects, become blind to race and fail to apprehend the material and ideological work that race continues to do. When obvious examples of racism appear to the public, they are considered to be isolated aberrations, to be addressed as anachronistic attributes of individual behaviour. There have been a number of such cases in recent months in the US: the noose that was hung on a tree branch by white students at a school in Jena, Louisiana as a sign that black students were prohibited from gathering under that tree; the public use of racist expletives by a well-known white comedian; the racist and misogynist language employed by a well-known radio host in referring to black women on a college basketball team, and finally, recent comments regarding the golfer Tiger Woods. But if we see these individual eruptions of racism as connected to the persistence and further entrenchment of institutional and structural racism that hides behind the curtain of neoliberalism, their meanings cannot be understood as individual aberrations. In the cases we have discussed, the racism is explicit and blatant. There is no denying that these are racist utterances. What happens, however, when racism is expressed, not through the words of individuals, but rather through institutional practices that are "mute" - to borrow the term Dana-Ain Davis uses - with respect to racism? The inability to recognise the contemporary persistence of racisms within institutions and other social structures results in the attribution of responsibility for the effects of racisms to the individuals who are its casualties, thus further exacerbating the problem of failing to identify the economic, social, and ideological work of racism. There is a similar logic undergirding the criminalisation of those communities, which are vastly over-represented in jails and prisons. By failing to recognise the material forces of racism that are responsible for offering up such large numbers of black and Latino youth to the carceral state, the process of criminalisation imputes responsibility to the individuals who are its casualties, thus reproducing the very conditions that produce racist patterns in incarceration and its seemingly infinite capacity to expand. The misreading of these racist patterns replicates and reinforces the privatisation that is at the core of neoliberalism, whereby social activity is individualised and the enormous profits generated by the punishment industry are legitimised. On February 28 of this year, the Pew Center issued a report about incarceration in the United States entitled "One in One Hundred: Behind Bars in America 2008". According to the report, one in one hundred adults is now behind bars on any given day. While the numbers themselves are shocking, the vastly disproportionate numbers of people of colour in jails and prison is for the most part responsible for the figure "one in one hundred." In 1985, there were fewer than 800,000 people behind bars. Today there are almost three times as many imprisoned people and the vast increase has been driven almost entirely by the practices of incarcerating young people of colour. Although the figures are not comparable, one can argue that a similar dynamic drives imprisonment here in Australia, with imprisoned aboriginal people accounting for ten times their proportion in the general population. According to neoliberalist explanations, the fact that these young black men are behind bars has little to do with race or racism and everything to do with their own private family upbringing and their inability to take moral responsibility for their actions. Such explanations remain "mute" - to use Dana-Ain Davis's term again - about the social, economic, and historical power of racism. They remain "mute" about the dangerous contemporary work that race continues to do. The incarceration of youth of colour - and of increasing numbers of young women of colour (women have constituted the fastest growing sector of the incarcerated population for some time now) - is not viewed as connected to the vast structural changes produced by deregulation, privatisation, by the devaluation of the public good, and by the deterioration of community. Because there is no public vocabulary which allows us to place these developments within a historical context, individual deviancy is the overarching explanation for the grotesque rise in the numbers of people who are relegated to the country's and the world's prisons. According to Henry Giroux, "racism survives through the guise of neoliberalism, a kind of repartee that imagines human agency as simply a matter of individualised choices, the only obstacle to effective citizenship and agency being the lack of principled self-help and moral responsibility." Because racism is viewed as an anachronistic vestige of the past, we fail to grasp the extent to which the long memory of institutions - especially those that constitute the intimately connected circuit of education and incarceration - continue to permit race to determine who has access to education and who has access to incarceration. While laws have had the effect of privatising racist attitudes and eliminating the explicitly racist practices of institutions, these laws are unable to apprehend the deep structural life of racism and therefore allow it to continue to thrive. This invisible work of racism not only influences the life chances of millions of people, it helps to nourish a psychic reservoir of racism that often erupts through the utterances and actions of individuals, as in the cases previously mentioned. The frequent retort made by such individuals who are caught in the act is: "I'm not a racist. I don't even know where that came from" can only be answered if we are able to recognise this deep structural life of racism. The deep structural racism of the criminal justice system affects our lives in complicated ways. What we acknowledged more than a decade ago as the US prison industrial complex through which racism generates enormous profits for private corporations can now be recognised as a global prison industrial complex that profits the world over from postcolonial forms of racism and xenophobia. With the dismantling of the welfare state and the structural adjustment in the southern region required by global financial institutions, the institution of the prison - which is itself an important product marketed through global capitalism - becomes the privileged site into which surplus impoverished populations are deposited. Thus new forms of global structural racism are emerging. The deep structural life of racism bleeds out from the US criminal justice system and is having a devastating effect on the political life of the nation and the world. Angela Y Davis is Professor of History of Consciousness and Feminist Studies at the University of California, Santa Cruz. She is a civil rights activist and former Black Panther. This is an edited transcript of the Vice-Chancellor's Oration, which she delivered at Murdoch University on March 18, 2008. AUSTIN -- Texas education leaders developing new English and reading standards acquiesced Thursday to pressure from teachers and lawmakers, allowing for more Hispanic input. "I'm pleased that there was a compromise and that they just didn't shutout the Hispanic expertise," said Rene Nuñez, State Board of Education member from El Paso. The State Board of Education spent hours discussing a new reading and English curriculum that will be in place for the next decade, defining test standards and the contents of textbooks. Educators and lawmakers had criticized the proposed curriculum, saying it was too prescriptive and ignored Hispanic students' needs. Board Chairman Don McLeroy said last week there was no time to make major changes to the curriculum because it needs to be adopted in time to have new textbooks for the 2009-2010 school year. In a public hearing Wednesday, though, the board heard impassioned pleas for more input on the curriculum from bilingual educators and from experts with knowledge about how Hispanic students learn. "If we're not meeting the needs of those individual children, especially our English language learners, they are at a tremendous disadvantage," said Paul Haupt, state coordinator for the El Paso, Texas and International reading associations and a consultant for Socorro Independent School District. Teachers also objected to a reading list, which they said removed flexibility, especially to choose books that would help students learning to read in English. Statewide, nearly half of the 4.6 million students in public schools in the 2007-2008 school year were Hispanic, according to the Texas Education Agency. Eighty-nine percent of El Paso County's 173,000 students were Hispanic. Board member Geraldine Miller said she was hurt that some believed the board was intentionally excluding Hispanic students. "We do not ever want to disenfranchise these children," Miller said. The board unanimously agreed to eliminate the reading list and to consider input from Hispanic teachers and two experts, including Elena Izquierdo, University of Texas at El Paso bilingual education professor and president of the Texas Association for Bilingual Education. The board will meet in May to take a final vote on the revised English and reading standards. "We have to do what's right here," Izquierdo said. "It's important to our kids in school; it's important to teachers." Brandi Grissom can be reached at bgrissom@elpasotimes.com; (512) 479-6606. EDINBURG, March 29 - Why is that the Rio Grande Valley, with over one million residents, lacks an interstate highway, a veterans’ hospital, and offers far fewer doctoral programs at its universities than other areas of the state that have far fewer people? Some of the 300 or so students who assembled for Youth Town Hall Meeting at the Abundant Grace Community Church in Edinburg on Friday said it was because the Valley does not punch its weight at the ballot box. Because, historically, turnout at general elections is much lower than in other parts of the state and nation, the region can be ignored by politicians in Austin and Washington, D.C., the students told the Guardian. “We want to change that. Our youth does not want to live in poverty, having problems getting jobs and getting an education, like our parents had. They want to vote and get their voice heard by the president,” said Stephanie Leal, a 17-year-old student at Mercedes High School. Friday's town hall meeting was the first of two focusing on young people that are being organized in the Valley this spring by the Marguerite Casey Foundation and its grantee non-profit groups. The meetings are laying the groundwork for the Equal Voice for America’s Families campaign, a yearlong effort to create and build support for a national agenda of family values. The second Youth Town Hall meeting takes place at South Texas College’s Pecan Campus in McAllen on April 10. Students from across the Valley participated in Friday’s event. They were asked to debate and list the issues that matter to them, and to focus on national and local policies that affect their families’ ability to prosper. Those issues will be collated and presented at regional town hall meetings later in the year. They will then be presented to the presidential candidates before the November election. Jessica Oioque, another 17-year-old Mercedes High School student, said her top issue was improving communication between children and parents. “The way you communicate within families is crucial. If you have communication with your family, you have far less problems,” Oioque said. Oioque said the town hall meeting was fun, informative, and challenging. “We have to voice our opinions, especially us kids. Not everybody, like parents, listen to us. This was our chance to speak out loudly. We did not argue about anything, we came up with reasonable answers,” Oioque said. Oioque said young people in the Valley were striving to get a good education because they have seen first hand the struggles their parents and grandparents have gone through. “We care tremendously, for that reason. We have seen how our parents were raised and seen how they did not have the benefit of a college education. It was very hard. Many parents dropped out of high school and struggled. You want to be better than that. You want to change things, especially here in the Valley. Hardly anybody outside of the Valley knows where we are,” Oioque said. Leal, like Oioque a member of the U.S. Army’s Junior Reserve Officers’ Training Corps, said the town hall meeting was fun because she got to meet students from across the Valley. “We were all talking about our future and the values we have with our families. Everybody was pumped up, happy to be here. We want to change today for our future, when we are adults,” she said. Armando Garza, Equal Voice for America’s Families’ regional coordinator for South Texas, told the students that they have a key role to play in the development of their community. “You are about to turn 18. You are about to have the right to vote. A lot of people have fought and a lot of people have died to get that right. You need to really start thinking about voting because that is one of the ways in which you can affect your community and your society,” Garza told the audience. Between now and being able to vote, students should try to get their parents to vote, Garza said. They can do this by helping them get registered to vote and helping them get informed on the candidates and their platforms, he said. Garza then told the audience about his own upbringing, citing it as an example of how civic engagement can help an individual grow. “I grew up very poor. I was a migrant farm worker and at a very young age I got involved with the United Farm Workers Union. That was the first time, when I was 12 years old, that I realized that I was important,” Garza explained. Garza told the students that putting pen to paper on the issues that matter to them was just the start of an intricate national campaign. In a month or so those issues would be tabulated and given back to the students so they can start sharing them with their friends. The Edinburg event was the second town hall meeting in the Valley organized under the Equal Voice for America’s Families campaign. The first took place amid freezing temperatures inside a large tent in San Juan in January. More than 300 families participated, making it one of the biggest town hall meetings in the nation. Another Equal Voice town hall meeting that could attract up to 1,000 families is being planned for late spring in Brownsville. The local non-profit in charge of the Edinburg event was AVANCE-Rio Grande Valley, a group that believes that strong families produce strong communities. Hilario Rincones, executive director of AVANCE-RGV, said his group was pleased to partner with the Marguerite Casey Foundation because the foundation supports the premise that a community’ well-being is dependent on the opportunities families have to become self-reliant. “In the year 2008, it is surprising to see that there are still so many disenfranchised people in our society,” Rincones said. The data, drawn from a sample of 838 girls who participated in a broad national survey in 2003-4, was presented last week by researchers from the Centers for Disease Control and Prevention. By far the most common of the four S.T.D.’s was the human papillomavirus, or HPV, which infected 18 percent of the girls. Chlamydia infected 4 percent, trichomoniasis — a common parasite — 2.5 percent, and genital herpes 2 percent. It will not be easy for sexually active teenagers to avoid any danger. Even among girls who said they had had only a single sexual partner, 20 percent were infected. With more than three million teenage girls infected, it is imperative to find ways to protect others. Why don’t teachers talk with parents? WASHINGTON (Map, News) - We read in the newspaper about the latest study of No Child Left Behind, or of the effect of larger classes or larger schools on children. Reporters investigate stellar students, award-winning schools and teachers, and the occasional atrocity committed by student or teacher within those cloistered walls. But where are the voices of the teachers? I have been writing about teaching, students, and education for more than 20 years, but I have very little company. Most of the writing about education is done by reporters and educators who no longer teach—if they ever did in the first place. This makes absolutely no sense. There is no subject that creates more anxiety in parents than the education of their children. Just go to any school board budget meeting about program cuts, or any boundary change meeting, and look at the pain and fear on the faces of the parents lined up to speak. Hardly anyone from within the classroom talks to parents. Often you are treated to only one back-to-school-night at the beginning of the year, which typically includes a brief address by the principal — heavy on PR with glowing words about the school’s test scores. Maybe you will be able to see your child’s teacher for 10-30 minutes, depending on grade level, and there is no time to get a sense of what the classroom is really like. It’s in and out, bell ringing just when you had that really important question you wanted answered. So no wonder Jay Mathews of The Washington Post gets semihysterical letters when he asks parents to comment on public school programs and policies. There’s no one out there who actually talks to parents in ways that bring to three-dimensional life the experience of their child between the hours of 7 a.m. and 4 p.m.
As I have discovered time and time again, if teachers actually speak to “scary parents,” they are not the least bit scary. I have never had a parent conference in which compassion and commiseration were not welcome; often a teacher’s simple vow to try to help the student succeed with one or two different approaches is enough to make the parent smile and thank the teacher with genuine gratitude. Because we know that our unconventional interdisciplinary Advanced Placement course is mystifying to parents, Eliot Waxman and I invite them to a two-hour “class” each fall so they can experience a “Senior Seminar” themselves. The e-mails we receive subsequently are testament to their appreciation that, finally, teachers have welcomed them into the world of their child. Their reactions are surprisingly touching. It’s time for teachers to stop being scared of parents. What factors keep teachers from speaking out, in print and in classrooms? I will look at that question in my next column. School officials fear that the estimated 131,000 Arizona students learning English will be at a greater risk of dropping out or taking longer than usual to graduate because of new state requirements for language development. Under the requirements adopted last year by the Arizona English Language Learners Task Force, students who aren't fluent in English will spend four hours a day on language development. Their hours could be reduced as they improve and they'll be sent to the mainstream classroom once they have successfully passed the Arizona's English Language Learner Assessment, a language test. Most of Arizona high schools operate on a six-hour class day, so the new requirement means the students deemed "English-language learners" will spend all but two periods of their school day focused on learning only English - possibly delaying their completion of required credits in areas such as history, math and science. "The question is: Are they going to get done in four years?" asked Ken James, executive director of the educational services for Gilbert Public Schools. The district has about 38,500 students - 1,000 of whom are ELLs. An ELL student can earn an English credit while in the language-development program and perhaps some electives. But that student will likely lag behind mainstream classmates who can advance through courses and graduate without delay. Salvador Gabaldon, the language-acquisition coordinator for Tucson Unified School District, said educating a student can cost up to $6,000 a year. A delay in graduation, he says, "is an expense I don't think the state took into consideration." The Tucson district has 8,000 ELLs, Gabaldon said. Smaller districts are worried, too. Higley Unified School District has about 250 students in its K-12 system who are considered English-language learners, a small portion of the district's 9,100 students. Denise Birdwell, a Higley associate superintendent, said at a recent school-board meeting that the new language-program standards are worrisome. "I'm concerned from a funding perspective," she said. She noted that state science and math credit requirements are increasing at the same time the students learning English will have to spend more time on language. District officials are raising other concerns about the state language-development model adopted last fall to help English-language learners. Higley's ELL coordinator, Heidi Larsen, noted that the students learning English are in schools throughout the district, not just one building. Yet under the state standards, schools are to group the ELL students together, separating them from students who are fluent, when providing them with four hours of language immersion. By law, districts cannot bus them. Instead, they'll have to put the students in separate classrooms at every school that has ELL students. Higley and several other districts are crafting alternative strategies that they hope state officials will approve. Some are relying on models from school districts in other states or developing their own strategies to better fit their budgets, classroom and staffing constraints. Some school districts want to ensure students learning English can simultaneously get some credits for areas such as math. Others want to eliminate what they view as an unnecessary set of hoops to jump through. The Mesa Unified School District plans to ask the state to make an exception for students who pass the Arizona's Instrument to Measure Standards exam, said Irene Frklich, director of English language acquisition. If they pass AIMS and fulfill the state and federal standards, those students shouldn't have to keep taking the state English-language-learner assessment to be considered proficient, Frklich says. State education officials say the goal is to ensure these students learn language through the intensive course so that they can be successful in math, science and other courses where they'll need a highly developed vocabulary. John Stollar, Arizona's associate superintendent for accountability, said that the better a student knows English, the more likely he or she will feel comfortable in class and stay in school. Students can take summer school and can get extra help outside of class if their school is among those in Arizona receiving funding for before- and after-school language-tutoring programs. He said this means that schools serving ELLs also could be better positioned to achieve adequate yearly progress. While schools can come up with alternative plans, some may not be approved. Mesa officials want to allow the students who pass the AIMS test back into the mainstream classroom without passing the state language assessment. But Stollar said that succeeding on the AIMS test doesn't mean the student is fluent enough to perform well in the mainstream classroom. "If I were to teach a bunch of French students mathematics - how much of my mathematics are they really going to understand?" Stollar said. "Wouldn't it be better to put them in an intensive . . . English program?" Tim Hogan, an attorney for the Arizona Center for Law in the Public Interest, said there are certain aspects of the new state standard for language development that are troubling and could be challenged in court, particularly the fact that ELL students are segregated and isolated for language training. Hogan is an attorney in the Flores case filed years ago against Arizona claiming that the state has failed to fully fund education for students who are learning English. He said he still is awaiting an opinion from the 9th Circuit Court of Appeals before trying to address flaws in the new state standards for learning English. NEW BRAUNFELS -- A middle school principal threatened to kill a group of science teachers if their students did not improve their standardized test scores, according to a complaint filed with the New Braunfels Police Department. Burks did not return a call seeking comment. Other teachers White said were at the meeting also did not return calls. Jacob Gonzales, an eighth-grade science teacher at the school who was not at the meeting, said another teacher, besides White, mentioned it, telling Gonzales "it was not spoken in a joking manner and it kind of alarmed him and gave him an uneasy feeling." New Braunfels School District spokeswoman Stephanie Ferguson said Burks told her it did not happen. She spoke to him after learning of the allegation from reporters. "I did not talk to the other teachers. Other than that, it is a personnel matter and I can't talk about it. We have not seen a police report." White said she decided to file the police report after one of the teachers spoke to a school board member about the incident, without result. She said she also plans to file a grievance with the school board. Before she filed the complaint on Saturday, White said, Burks told her she was being transferred to the Learning Center, which houses the district's disciplinary school, because of the test scores. She said her classes' standardized test scores were consistently the best in the grade. Ferguson later released a three-sentence statement that noted White filed the complaint after being reassigned. The statement quoted Burks as saying, "All personnel decisions are made with the best interests of students in mind." Many teachers complain about the importance placed on TAKS scores, saying a single, standardized test often does not measure how well their students are learning. "It sounds like a case of TAKS tyranny taken to the extreme," said Joe Bean a spokesman for the Texas State Teachers Association, who said teachers and administrators are often punished for disappointing test performance. "Once a principal gets a reputation as not able to get the scores that are required, that principal is virtually unemployable," he said. Bean said the TAKS provides only a snapshot of how students performed on that day and that students of some outstanding teachers and schools sometimes do not score well for a variety of reasons. daughter was about to enter kindergarten. have to confront in school?” she asked. attitudes when asked by a woman. Claude Steele of Stanford University. based on individual achievements—rather than ascribed. for which there are positive performance expectations. gap in standardized testing performance,” he said. your performance on a standardized math test. Dr.
participants did not improve their performance. at math) did improve their performance. when their gender was primed. salient to women and impair their performance. questions to the end of the test,” said McGlone. can appreciably improve SAT scores,” he said. favoring men. Illustration: Nicholas Bright. means of improving academic performance. factors that contribute to these differences. inappropriate for the under-10 set. a set of cards placed face down in a grid formation. identifying all of the matches. girls like cooking) by the age of 5. New York City magnet schools. “To be forewarned is to be forearmed,” said McGlone. we got them to focus on their achievements,” he said. stimulus to negate stereotype ideations. that is fixed or something you’re born with,” he said. further in the game and ultimately score more points. Maybe we should just fire all the teachers. If a faction of the State Board of Education gets its way, we won't need teachers any more. What we'll need is "classroom facilitators," and we should be able to get them to work for even less than we pay teachers. Come to think of it, robots might do the job. On Day 73 of the school year, they'd just play a recording of exactly what the state board says the students are supposed to be told on Day 73, and that would be it. Automation -- that's the key. Don't laugh. We're heading in that direction. Today, a board subcommittee will consider a revision to state curriculum standards for English, language arts and reading instruction in grades K-12. The full board will take a preliminary vote on the standards Thursday, with a final vote set for next month. A team of Texas teachers named by the board spent almost three years compiling a set of curriculum standards, but that's not what the board will consider. Board Chairman Don McLeroy, who has been in his post for all of four months, says that "nobody" liked what the teachers put together. Rather, the board will vote on a set of standards developed by a facilitator. Doesn't that just warm your heart? This is very important stuff. The curriculum standards adopted by the board become enshrined as the Texas Essential Knowledge and Skills. The TEKS determine what criteria are used in developing the Texas Assessment of Knowledge and Skills tests. Kids in some grades can't move to the next grade unless they pass the TAKS tests (with some exceptions), and no one can get a high school diploma without passing TAKS. The teachers have a number of objections to the standards that will be considered by the board. Kylene Beers of Houston, the president-elect of the National Council of Teachers of English, wrote to board members saying that the proposals don't place enough emphasis on teaching reading comprehension, give no attention to media literacy, over-emphasize grammar taught in isolation and lack enough multicultural literature. But the loudest objection has been to the inclusion in the standards of something that Texas does not currently have: a state-adopted reading list. It's not that the teachers think the books on the list are bad -- in fact, they're all good, and most teachers use them. But once the state starts mandating a list, it becomes a limit on teachers' freedom to pick the best tools to use for teaching the unique students in front of them. Texas public school students are a diverse group. A book that might grab the interest of a sixth-grade class in a minority neighborhood of Fort Worth might not be the best to use in suburban Southlake or the Rio Grande Valley. That's where school district administrators, principals and teachers come in. They need the freedom to tailor their work to the needs of their own students, who should be learning the skill of reading more than what was said in any particular book. Curriculum standards should outline the concepts that are to be taught and give clear, achievable objectives to guide the work of teachers during each school year. But for goodness' sake, teachers are not robots. If they are forced to act like they are, Texas education will be the worse for it. plan aimed at increasing graduation rates. code language for "school vouchers." least a portion of the tuition. recommended minimum bonus is $3,000. reward the state's best teachers. which will forgo a $650,000 grant from the state. pay the bonuses with local funds in the future. continued funding from the state." match to receive a state grant under the DATE program. local funds or in-kind contributions. too tightly drawn to be able to give up the dollars. to see districts approach this tentatively." districts have the right to not participate. teacher merit pay program in the state. education in the spring of 2006.
end-all and be-all of education in this state." $300,000 from last fall's estimate. and Plano nearly $2.8 million. grants require a local match. scores and other signs of student achievement. most teachers to change their classroom techniques. gave average maximum bonuses of $2,263. the RAND Corp., a nonprofit think tank. predicted would befall the program. of education initiatives and performance. salaries in Texas are low compared with other states. schools for more than one year," he said. for [the grant program] in multiple years." of any campus in the district. out with small bonuses for a large number of teachers. On February 29, 2008, the State Board Of Education (SBOE) subcommittee, appointed by Chairman Don McElroy, recommended and appointed a group of "experts" to review the English Language Arts and Reading (ELAR) standards prepared by an independent contractor. Texas LULAC is highly concerned that a knowledgeable expert in the field of bilingual education and ESL was not appointed. Texas student demographics show that Hispanics comprise 47% of the total public school enrollment. The SBOE has neglected the needs of a significant portion of the Texas student population by not appointing Hispanic researchers to the expert review panel. According to Adrian Rodriguez, co-chair of the Texas LULAC Legislative committee, "The actions of the SBOE subcommittee will only serve to widen the achievement gap for Hispanic students. The entire Texas community will suffer if we cannot properly attend to the literacy, language, and learning needs of Hispanics and other minority groups. Proper representation will alleviate these problems." We strongly recommend the SBOE appoint Hispanic researchers to review the current ELAR document to ensure each standard reflects the needs of English Language Learners. In addition, the Spanish Language Arts and English as a Second Language Standards should not be relegated to second-class status. Rather than waiting to address the Spanish Language arts and English as a Second Language Standards after ELAR, which places bilingual students at a disadvantage, revisions for all standards should be considered simultaneously. "What good does it do to put a Chinese story in an English book?" he said. "You learn all these Chinese words, OK. That's not going to help you master ... English. So you really don't want Chinese books with a bunch of crazy Chinese words in them. Why should you take a child's time trying to learn a word that they'll never ever use again"
He added that some words — such as chow mein — might be useful. Many Texas educators are incensed by the latest version of the state's proposed English language arts and reading curriculum, which includes hardly any books portraying Hispanic culture in a state where nearly half the schoolchildren are Hispanic. Educators, consultants and advocacy groups are referring to the recommendations as a "book list," which the state has shied away from in the past. They predict that textbook publishers, hoping to have their book adopted by the state, will include in their text revisions only the literary works that appear on the list. That worries educators such as Cindy Tyroff, a secondary language arts instructional specialist in the Northside Independent School District, where about 60 percent of students are Hispanic. "A lot of these are classic pieces of literature, and there's certainly nothing wrong with classic pieces of literature," she said. "But I also think that one of the ways that we help, in particular, struggling readers access text is by giving them materials where they see themselves." The State Board of Education is scheduled to hold a public hearing about the proposed curriculum changes Wednesday and is expected to take a preliminary vote the next day. A final vote is scheduled for May 23. The new standards, which affect kindergarten through 12th grades, will influence textbooks for the 2009-2010 school year. Don McLeroy, board chairman, said Friday he couldn't comment about the list because he hadn't reviewed which books made it into the document. However, McLeroy said he directed a group of experts to add examples of "good literature" to the list. He said students should spend their time in English class learning English and reading literature that will help prepare them for college. Educators say they don't have a problem with the classics, such as "Goldilocks and the Three Bears" and "The Great Gatsby." However, they say, the recommendations on the table are heavy on classics and short on contemporary and cultural works to which students can relate. The books by Hispanic authors included on the list are: "Love in the Time of Cholera," by Gabriel Garcia Marquez; "Becoming Naomi Leon" by Pam Muñoz Ryan; "The Jumping Tree" by Rene Saldaña; and "El Pajaro Cu," or "The Coo Bird," a collection of fables. Tyroff said missing from the list is local author Sandra Cisneros' book "House on Mango Street." However, Cisneros said Friday she doesn't think there should be a recommended list at all. Instead, educators should choose books to which students can relate. "I feel it's just important that we select books that might speak to young people at whatever age that reader is," Cisneros said. "A lot of times, people who aren't used to books aren't going to read ... books that they find intimidating." The proposed curriculum states that teachers should "consider reading" specific books, but critics say educators and textbook publishers will interpret whatever is in the curriculum as a requirement. "The minute they say an example would be this book, or consider this book, that's it," said Mary Helen Berlanga, a state board member from Corpus Christi. "They take it as, 'Oh, we should be reading this.'" The curriculum currently used in Texas classrooms includes no book recommendations. Instead, school districts or individual campuses develop their own reading lists. And an initial draft of the curriculum rewrite, developed by a teacher work group over the past two years, also didn't include specific titles. However, last month, a group of state board members tried to introduce a separate curriculum proposal, one that had been rejected by the state board a decade ago. The effort failed but the board voted to appoint a subcommittee of members — McLeroy, Gail Lowe, Geraldine Miller and Lawrence Allen — to review the document the teacher group developed. The book recommendations are a result of that review, for which the board members recruited experts. Ken Mercer, one of two state board members who represent San Antonio, said the books included in the curriculum are merely suggestions — not requirements. San Antonio's other state board representative, Rick Agosto, told a reporter he would return a telephone call on Friday but did not. David Bradley, state board vice chairman, said teachers and other educators are unhappy because they didn't get to develop the recommended list. "You've got to establish some guidelines," he said. "Ultimately, the debate comes down to who gets to decide on the list, and it falls to the 15 folks who were elected." I quote from within: "'There's no malice at all, none, zip, nada. There's just no time to get another expert in,' he [Dan McLeroy] said after the meeting." For something so important, devising the state's new curriculum, McLeroy's statement sounds reckless. The SBOE needs to put the brakes on this process and they also need to bring expertise on Latino youth and curricula to the table. All who can should try and make the March 27 meeting. AUSTIN — There is neither time nor a reason to slow down a plan to update the English language arts and reading curriculum for public schools, State Board of Education Chairman Don McLeroy said Wednesday after a Texas lawmaker pleaded for input from Hispanic experts. Hispanic children now make up a large plurality of the 4.7 million students attending Texas public schools. "There is no way that ignoring such a sizable chunk of this population from consideration of education policy will do anything but harm the opportunity of a generation," Rep. Abel Herrero, D-Robstown, told McLeroy and a four-member board subcommittee. Herrero represented the House Mexican American Legislative Caucus, which has asked McLeroy to include experts in Latino culture before adopting a final document. He and other advocates did not have specific examples of how a lack of such experts may have resulted in omissions in the newly released document. The board plans a public hearing Wednesday and will take a preliminary vote March 27 on new curriculum standards that will influence new textbooks for the 2009-10 school year. Mary Helen Berlanga, the senior member of the State Board of Education, said the refusal of her colleagues to include Latino experts in developing the new curriculum amounted to malice. "It's ignorance on their part," Berlanga said after the subcommittee signaled its intent to stick to a schedule and not call in Hispanic experts. "We're trying to teach (minority children) English language arts, and all we want is someone who has researched these children and their learning styles to find out where they are deficient and where we can help them," Berlanga, of Corpus Christi, said. "We can save a whole population of children. "It makes no sense except that there is malice and individuals who want to see that the Texas public (school) system fails individuals (and) who are not interested in seeing minorities progress,"she said. McLeroy, of Bryan, said he was shocked by accusations that he and some board members are trying to shortchange Hispanic students. "There's no malice at all, none, zip, nada. There's just no time to get another expert in," he said after the meeting. "None of us would do anything to hurt any group of children or any (individual) child. What we want is for them to be successful in the English language because it's so important." Of the 4.7 million children attending Texas public schools this year, Hispanics make up 47 percent, Anglos 35 percent and African-Americans 14 percent, according to the Texas Education Agency. The number of Hispanic children will continue to increase. Among the 1.5 million children enrolled in kindergarten through third grades, Hispanics make up 49.6 percent and whites 33 percent. Teachers and other English language and reading experts can offer comments on the 78-page proposal at the public hearing next week. There has been plenty of opportunity for various experts to provide input earlier, McLeroy said. "If there's something that could cause a certain group to stumble, I think we ought to fix it," he said. But a wholesale substitution or even major changes no longer are possible, McLeroy said, adding, "We should have had this done a long time ago." Lawrence Allen Jr., of Houston, the only minority member on the subcommittee, supported the call for experts in Latino culture to review the document. "It's a simple request, one that we need to meet to satisfy such a large population of our state," he said. Cindy Tyroff, an English language arts and reading expert in San Antonio's Northside Independent School District, said it will take some time to assess the proposal. But she said it is not an exaggeration "to say it's always prudent to have lots of eyes and people with lots of expertise" involving in writing a new curriculum. Settlement opens door to charter schools in L.A.